Today marks the start of the 2013 FLW Tour competition season. With the first day of competition of the FLW Tour opener on Lake Okeechobee, we can officially begin our conjecture as to what might happen this season, how this first event might turn out, and other things that are significant for 2013. Lake Okeechobee has been the site for the first FLW Tour event for the past several years. However, those were for FLW Tour Opens, and this year, with the Tour Opens not being run, the “Big O” is the stage for the Tour Major battles to start. In the past, we saw significant challenges from local anglers who could enter the tour level events due to the fact that it was not a Major, but this year, that is not an option. It is interesting to note however, that two of those more famous locals, Brandon McMillan, who won the 2011 FLW Tour Open on Okeechobee, and Brandon Medlock, who has built a reputation by dominating Florida events in the BFL and Everstart levels over the past few years, have stepped up to the tour. In thinking of the event, the word among the pros who have been publically interviewed is that fishing has been tough. Some recent cold fronts that saw the overnight air temperatures dip into the 40’s has apparently hampered the movements of the bass. While the past few years have featured a mixture of sightfishing and Flippin’, it appears that 2013 might have some other wrinkles thrown in. Of course, both of those tactics will most likely be involved; what springtime tournament in Florida wouldn’t, but it may take some time for the fishery to recover from the cold snap that has been in Florida recently. Weather conditions are predicted to start warming and anytime a warming trend comes through Florida around the spawn, some fish are likely to show up. One interesting wrinkle involves the moon phase. While the spawn is highly driven by the effects of a full moon, that phase happened on February 3, which was during the cold spell. With the moon waning now, it could have a significant effect, or there could be enough fish that are in the “I need to spawn now” phase, that spawners could still be a major factor, at least for a day or two. We mentioned McMillan and Medlock, and their prowess on the lake has been proven in the past, so they are anglers who figure to do well. 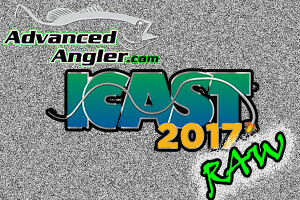 Randall Tharp, and Ish Monroe; who is fishing both tours, both won tour level events, at Okeechobee last year and are anglers to watch. Florida natives Bobby and Chris Lane have also decided to fish both tours, and have the ability and experience to make their marks in the season opening event. Scott Martin is another local who could easily bring his years of experience on the lake to fruition with a win, as is Koby Krieger. But, those are the easy and obvious choices. The FLW Tour certainly has many anglers in the field that can win, and depending on the decision making processes, here are some that we feel need to be considered. Glenn Browne is a Florida native who has shown the ability to excel on Florida lakes in the past. Along with him, Chad Morgenthaler has shown that he can perform in Florida and while the past several years have not been especially kind to him, he started the year with a fourth place finish at the Southern Open on Lake Toho last week, so he might be coming out of his doldrums. Brett Hite won the 2008 FLW Tour opener on Lake Toho in conditions similar to this, an extreme cold front that warmed through the week, so his experience is one to consider. We would be completely remiss if we didn’t give at least a thought to reigning Angler of the Year David Dudley. He very well could be considered the best angler in the world with as consistently as he has been fishing the past couple of seasons, so it wouldn’t surprise us if he did well. We’ve discussed the topic of two tour pros in the past, but until the roster of pros came out this week, we were not able to discuss things in their entirety. Now that FLW has published the names of the pros that are registered in the Okeechobee event – and therefore, paid deposits for the whole tour – we can say that there are nine anglers fishing both the FLW Tour and the Bassmaster Elite Series. The first name we came across was no surprise, Tommy Biffle, of Wagoner, Okla. is one who has fished both tours in the past until schedule conflicts forced a focus on the Elite Series. Another Oklahoman, Jason Christie, of Park Hill will also be hitting both circuits, and in fact, he is one of two FLW Tour pros who qualified for the Elite Series to choose to fish both. The other is Dadeville, Ala. pro Kelly Jaye, who will be in his second year on the FLW Tour, and will be in his rookie year on the Elite Series. The Lane brothers,Bobby from Lakeland, Fla., and his brother, 2012 Bassmaster Classic Champion Chris will now fish both this year. Bobby is former FLW Tour combatant who made the switch to the Elite Series in 2008, and, and Chris is an angler who has always tried to compete as much as he can, so they are both running the big miles this year. Another one that is no surprise is Monroe. The Hughson, Calif. pro has been primarily focused on the Elite Series, but has managed to fish most of the past few seasons of the FLW Tour schedule when schedule conflicts did not keep him away. Fred Roumbanis, from Bixby, Okla. is another one making a run at both schedules, and if he is able to keep himself focused with such a busy schedule, Boom Boom could cause problems on both tours. The one surprise is Zell Rowland. The Montgomery, Tex. pro is certainly one who has built a solid career, with several signature wins to his name, but he has struggled on the Elite Series for the past few seasons; perhaps a scenery change will reinvigorate the veteran pro. With the FLW Tour Opens being shuddered in 2013, it is yet to be seen what an impact that the reduced schedule will have on the anglers. While the reduced schedule was mentioned as a cause for some of the pro staff reductions at Pure Fishing on the FLW side of their ledger in a BassFan.com article recently, it is yet to be seen how the anglers will deal with the loss of income potential. The likely outcome is that we will see an increase of FLW Tour pros fishing Bassmaster Opens and more Everstart Series events than usual. In the past, the entry into the Opens would have led to speculation that they were seeking entry into the Elite Series, but this year, it will likely mean anglers seeking a chance at more income and more exposure for their sponsors.